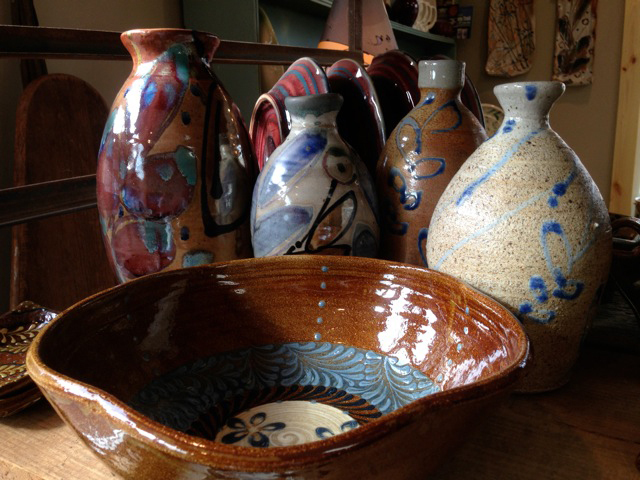 Lisa Howard is a potter and the proprietor at Local Pottery. 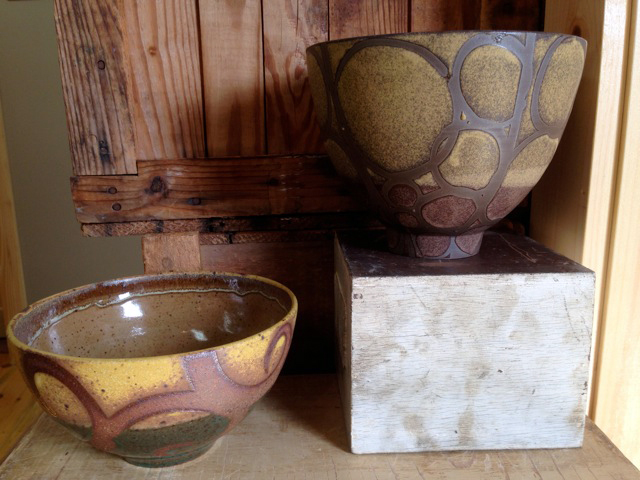 Vases by Wayne Fuerst and bowl by Lisa Howard. 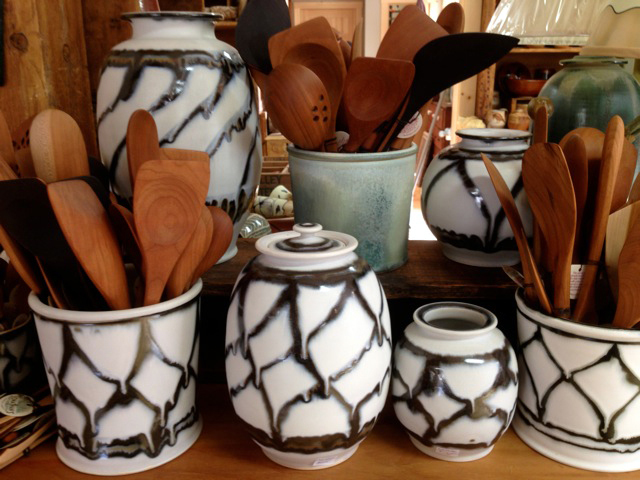 The Local Pottery gallery has an extensive collection of fine pottery and crafts from local and regional artisans that are carefully curated to ensure the highest quality and craftsmanship. Look for a vast array of gorgeous pieces that will give your home spirit and joy. Each year I add something new to my collection and over time I have acquired several interesting pieces that pair wonderfully with my local foods from the Braintree Farmers Market. Display shelves at Local Pottery. 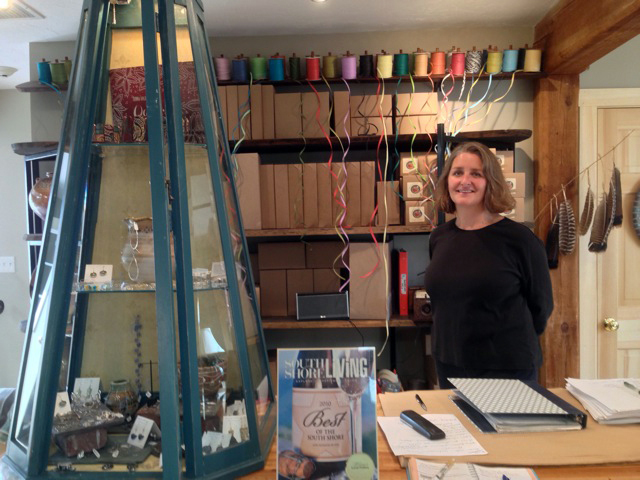 Lisa has painstakingly designed her new space with custom made shelves and display cases that accentuate the earthy beauty of the products she offers. 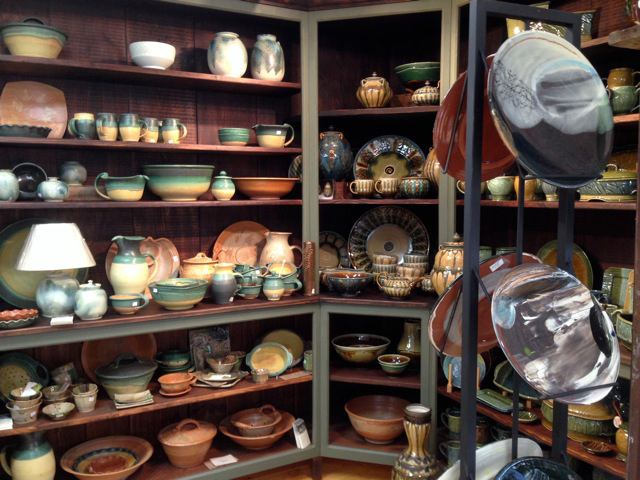 Find something for everyone on your Holiday list, including yourself, at Local Pottery. Support this special place where you’ll find local creativity and fine craftsmanship by artisans where each piece is a one-of-a-kind original. 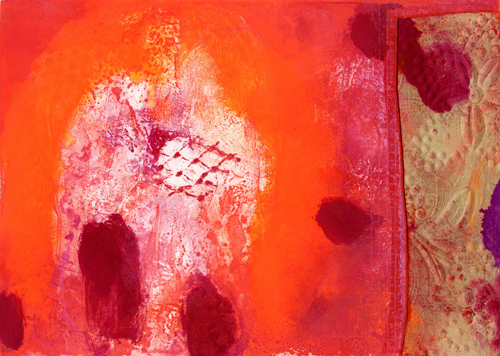 5″ x 7″ Abstract Monotype with Chine-Colle by Donna Ingemanson. Mondays and evenings by chance or appointment. Closed December 5 until 7 pm for primping. You are currently reading Local for the Holidays at donna ingemanson studio.